Welcome to the official website for D.R. 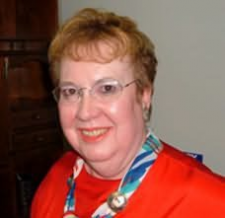 Meredith, award-winning author of nineteen novels, both mysteries and historical, and numerous short stories. A fan of mysteries since a childhood obsession with Agatha Christie and Rex Stout, D. R. Meredith has written three mystery series set in the Texas Panhandle, a little-known area of the state even to other Texans. Two titles, MURDER BY IMPULSE and MURDER BY DECEPTION, in the John Lloyd Branson series were finalists for the Anthony Award. An equal obsession with the American West inspired her to create two historical sagas, A TIME TOO LATE and THE RECKONING, which she describes as “two hanky books for readers who want their hearts tugged while satisfying their curiosity about the Old West.” The book review editor for ROUNDUP MAGAZINE for more than twenty years, Meredith owns a private library of more than 5,000 books on the American West. Here you can preview books and other writing, keep up with news and events, and find links to purchase all of D. R. Meredith’s works through bookshop and e-Readers. Lots of books! Very nice site. Thanks, Carole. I’m glad you like the site. Sorry for the delayed reply, but I do manage to answer eventually. I’m working on eventually being a short time. Thanks, Helen. I’m glad you like it, and sorry for delay in answering. I adore your books, Ms. Meredith and look forward to any and all your upcoming work! Tracia, I haven’t heard from you on Facebook for a while. How are you doing these days? No relapse, I hope. Sorry for the delay in replaying, but being the caretaker is restricting my networking time. I’m still trying to work on Murder in the Moon When the Leaves Fall when I get the time. Nice Site DR. You write to two of favorite genres, Westerns and Mystery. Thanks for the kind words. Hope you’re try at least one of each:mystery and western. I just discovered the Panhandle Murders and am most sad that there aren’t any more. I love the characters, all twists and turns and the wonderful humor. They are a definite respite from many of the “reality” murders in todays market. Would love to find out that theere might be a new one some day. Thanks, Gay, and there are four more Sheriff books following Panhandle Murders. They are The Sheriff and the Branding Iron Murders; The Sheriff and the Folsom Man Murders; The Sheriff and the Pheasant Hunt Murders; and Homefront Murders. Links to Kindle, Nook, and Kobo found at my website. Feel free to check out the posted synopses. Oh, my God, Gay! There are four more Sheriff books, each one better than the last, maybe because I improved with each writing. Then, when you finish the Sheriff books, there is the Murder By series and the Megan Clark series. Just click on the tab at the top of the page. And thanks for loving the Sheriff as much as I do. Rebecca, thank you, thank you, God, I’m slobbering I’m so thankful. Thank you for the posting. I much appreciate it. Ferb: A TIME TOO LATE one of three favorite books to write. The other two are the sequel to A Time too Late, called THE RECKONING; and MURDER BY MASQUERADE, a John Lloyd Branson title. Actually, I like all my stuff. I re-read it all as it was being formatted for ebooks, and I’m still mostly pleased with what I wrote. By the way, THE RECKONING will be available on Kindle, Nook, and Kobo in the next couple of weeks. I love A TIME TOO LATE. There’s nothing better than crying over a book. The sequel, THE RECKONING will be available on Kindle, Nook, and Kobo within the next few wks. What can I say but that you convinced me when I read the sentence that says you are an Agatha Christie fan. I am too. I am sitting here in my small office, getting ready to close up shop for today. It is a quarter after midnight over here in good old Germany. Yes, I am an expatriate living on the European Continent, but still love and appreciate the country I was born and raised in. Looking at your 19 books, to be quite honest, I don’t know where to start, so I’ll just pick one at random and start reading it. I hope that they are available on the amazon.de site, which is the site that I must order from since I am presently living in Germany. I have my plate full at the moment but I will do a book review on it also. I just do not know when. I have listed two of my blog websites that you might be interested in. http://patgarciabookreviews.com and http://garciaandwalkon.me. The book review site will give you an idea of the kind of book reviews I write. Whenever I am finished with writing the review, I put it on twitter, Facebook, Goodreads and put it on Amazon.de for the many English speaking native people here in Germany who are not able to buy over Amazon.com, like myself. If you are interested, I am participating in the 2013 A to Z Blog Challenge. It is running this month. I have started a blog especially for this challenge. You may find it at http://patgarciaandeverythingmustchange.blogspot.com. I share some of my words of wisdom that I have learned so far in my life. Have a nice evening, and I enjoyed visiting your blog. I have started following it. Thanks so much for your comment and your links. I apologize for the delay in answering. I should check my website more often. In answer to your question, I don’t know my stuff is on Amazon.de or not. You can order the ebooks on Amazon Kindle, Nook, or Kobo. I assume you can order electronically from those sites. I certainly hope so. I still have some of the titles in print format on Amazon and Nook. My sequel to A TIME TOO LATE called THE RECKONING will be available on Kindle, Nook, and Kobo in a few weeks. All my future novels will be in ebook format. The money is a lot better than what print publishers offer. Thanks, Melissa. I hope you’ll try one of my mystery series and feel like you’ve come home. This is my first book so you are way ahead of me. Glad we connected. a shout out from Huffman Tx! Doris, We are here at The Craig in a cottage , a fine place. You have been very busy, many books! Hi! to Mike. Ted, glad to hear from you. I’m still writing and Mike is still working part time. We’re staying busy and off the streets. I’m so glad I discovered your books! As a native Texan (and fellow writer), I always enjoy stories set in the Lone Star State. Yours sound like stories I’d enjoy.